The pursuit of claims against drug and medical device manufacturers by injured individuals serves a critical role in holding manufacturers accountable and protecting consumers from unreasonable risks and dangerous products. 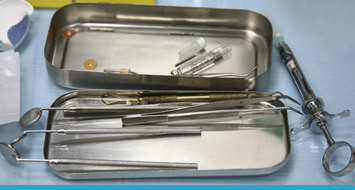 A medical device is an instrument designed to aid in the diagnosis and/or treatment of health-related issues. When functioning properly, medical devices have the potential to vastly improve the lives of people suffering from chronic diseases, illness, or health-related abnormalities. Unfortunately, millions of people in the United States have to use medical devices. These devices can include bone screws, implants, implantable defibrillators, pacemakers, among others. A defective medical device poses a serious health risk to people requiring its use. Medical device defects leave patients at serious risk of incurring a debilitating injury or even death if the problem goes undetected. Problems associated with defective medical devices have included short-circuit and malfunction, leakage of the product, product-incurred injury during a procedure, suffocation, breakdown, and post-operative complications. The Food and Drug Administration (FDA) is charged with the responsibility of protecting the public from the health hazards that can result from a defective medical device or implant. Many products undergo years of design and testing before being approved for use by the medical community. Despite the FDA’s best efforts, however, defective medical devices and products such as unsafe wheelchairs continue to get onto the market and cause thousands of deaths and catastrophic injuries every year. Our experienced attorneys can help you secure all of the compensation to which you may be entitled. This may include compensation for your pain and suffering, financial losses, emotional distress, and medical expenses. In some cases, you may also be entitled to punitive damages for another party’s wrongdoing. Our attorneys can help you deal with your insurance company, as well as the insurer of the other party or parties. Insurance companies have lawyers working hard to minimize their payouts; you need a lawyer who will work just as hard for you. The practice of marketing devices for “off-label” use is a very serious problem. “Off-label” use means that a device is being used in a manner other than that which was approved by the FDA. Under the Food, Drug, and Cosmetic Act (FDCA), it is illegal for a medical device manufacturer and its sales representatives to promote a device for “off-label” use. However, if a physician chooses to use a device in a manner that was not approved by the FDA, there is nothing the FDA can do about it because the FDA cannot regulate the practice of medicine. Therefore, the FDA protects the public from potentially dangerous “off-label” use by making “off-label” promotion illegal. If you or a loved one has been injured from a defective medical device, contact us today.